The spotlight is firmly on the Gran Risa slope. 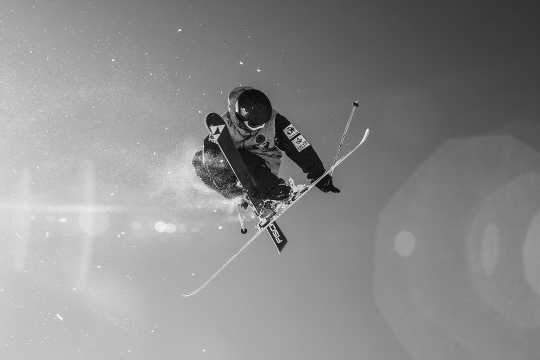 On 16th and 17th December, world champions of Alpine skiing will be battling it out at the traditional Giant Slalom and the night-time Parallel Giant Slalom. There will also be more accompanying events throughout the competition: in addition to the LEITNER ropeways VIP Lounge, three new venues will be introduced in 2018, namely the Red Bull Energy Lounge, the Les Viles by Blizzard-Tecnica and the Gran Risa Style. Four different spots where guests can enjoy moments of pure pleasure. 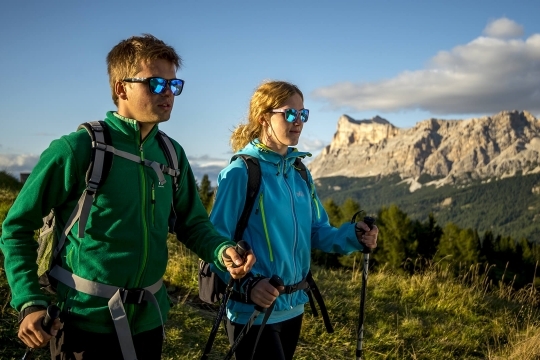 Alta Badia is becoming increasingly well-known as a destination offering the best in mountain pleasures. 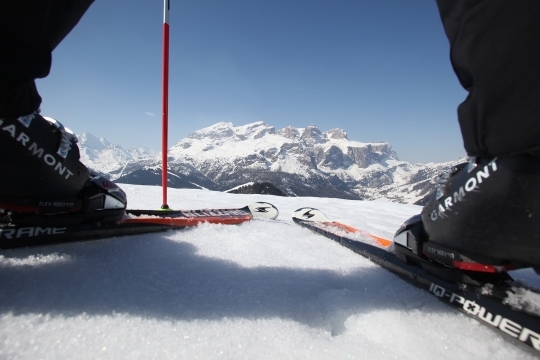 In this regard, the Alpine Skiing World Cup represents a unique chance to discover the area's points of excellence, with the races being Alta Badia's top ski event. The event's three hospitality areas offer real moments of pleasure, with each being based on the core values of this ski resort, i.e. excellent cuisine, the majestic Dolomites (a UNESCO World Heritage site) and Ladin culture. 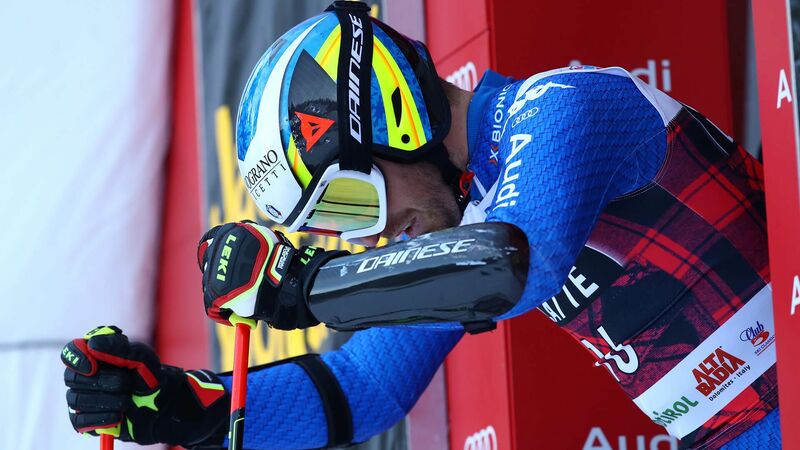 The men's races taking place in Alta Badia on Sunday 16th and Monday 17th December 2018, which count towards the Alpine Skiing World Cup, are also becoming more about the Alpine lifestyle. Excellent food and wine, Ladin cuisine and adrenalin-filled moments, rubbing shoulders with ski champions, will accompany this competition, which will see the best world cup athletes competing on the Gran Risa, one of the most technical and spectacular slopes out there. The weekend dedicated to the Ski World Cup races officially kicks off on Saturday 15th December at 7pm, when the bibs of the fifteen best athletes will be picked. These athletes will be battling it out at the first stage of the Giant Slalom on Sunday 16th December, at 10am. The second race on the Gran Risa slope will begin at 1pm, after the now traditional display by the "PAN Frecce Tricolori" (the Italian air force aerobatic team) at 12.30, which will fly over the finish area of Alta Badia's Giant Slalom. The official award ceremony will take place at 6pm in the centre of La Villa, featuring trophies specially designed for Alta Badia by the artist Daniele Basso in collaboration with Swarovski. 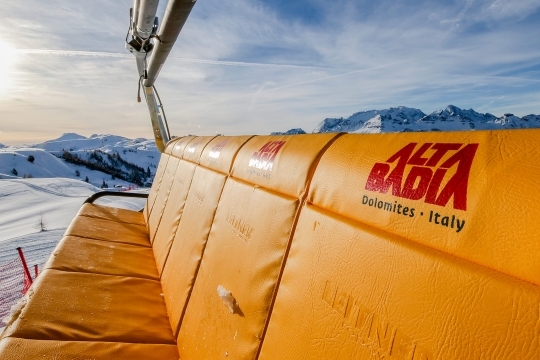 On Monday 17th December, guests can actually take to the slopes of Alta Badia themselves. 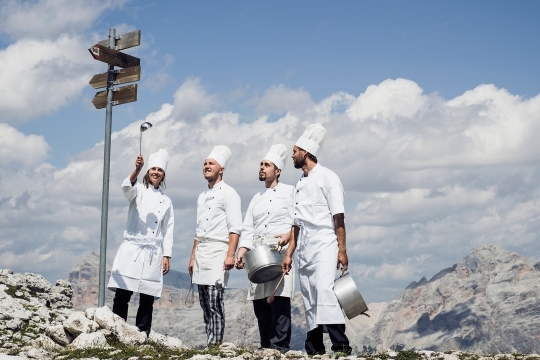 ALTISSIMO – The Dolomites' Most Exclusive Brunch, the best culinary lifestyle event in the Dolomites, will be held at the Club Moritzino lodge, from 11am onwards. Three Michelin-star chefs from Alta Badia will be cooking for guests: Norbert Niederkofler (St. Hubertus Restaurant at Hotel Rosa Alpina, 3 Michelin stars), one of the nine three-star Italian chefs, Matteo Metullio (La Siriola Restaurant at Hotel Ciasa Salares, 2 Michelin stars) and Nicola Laera (La Stüa de Michil Restaurant at Hotel La Perla, 1 Michelin star). 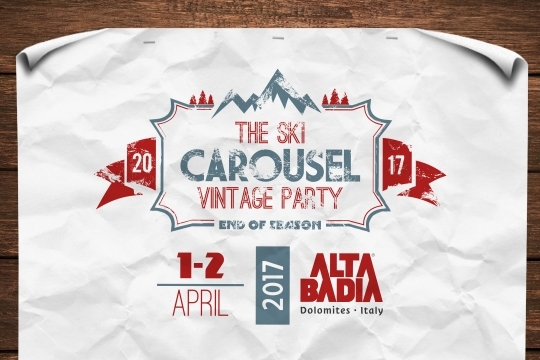 The event, which is reserved to a limited number of guests, will highlight Alta Badia's excellent cuisine. At 6.15pm, under the starry sky above the Gran Risa, lit up especially for the occasion, the nighttime Parallel Giant Slalom will take place. This is a knock-out competition in which the 32 best athletes will race in pairs in a showcase of speed and technique. Advance tickets can be purchased online from the website www.skiworldcup.it.